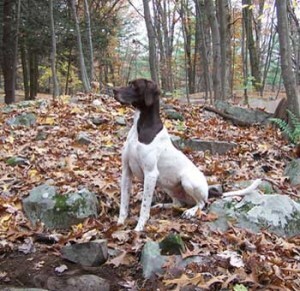 Before filling out the adoption form, read all about the German Shorthaired Pointer (GSP) to make sure the breed is a fit for your lifestyle. It’s also important to understand our process and requirements. They are very important to your new GSP and your family! We are a rescue organization, not a shelter. We rescue dogs from shelters and homes where they are unwanted or in cases when their families cannot care for them. We want them to be safe and happy for the rest of their lives and we care about them like they’re our own. Having a foster system means we take great care into matching the right dog with the right family. To that end, please note, many of the dogs we have available do not make it to our website. Approved adopters are given priority if they are the right fit for a GSP we are learn about either in our area or through our vast GSP rescue network. So, the sooner you are approved the better! The right dog comes along at the right time. We get puppies (though not often) and seniors and amazing dogs of all ages in between. A volunteer will contact you, usually within 48 hours, to review your information. Remember we are an all-volunteer organization so please be patient with our response time. The next steps are home visit and vet reference. We follow this protocol in an attempt to match the right GSP to the right family situation – considering the dog’s health, personality, behavior and other factors. An adoption fee is required. This donation goes towards future rescues in need. 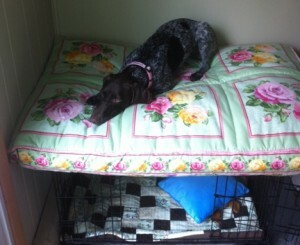 All of the dogs adopted through the GSP of NJ Rescue program are spayed/neutered before placement, no exceptions. They also go to their new homes fully vaccinated, heartworm checked and microchipped. Keeping in Touch: Just like you send Aunt Mary pictures of the kids during the holidays or send an email to grandma tell her how little Tommy got an A in history class, we want to hear about our “kids” as well. We love getting regular updates. We want to hear the good, but we are also here if you have any adjustment issues while getting settled or conundrums down the road. We will always do our best to help you or refer you to a resource. 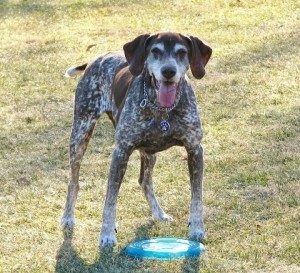 Many of our volunteers are long-time GSP owners; some are trainers; some even show their dogs. We have a great body of knowledge. You don’t have to get to the point of “I have to give up the dog.” Don’t hesitate to email us. Moving: It is extremely important that if you move, you let us know your new address. 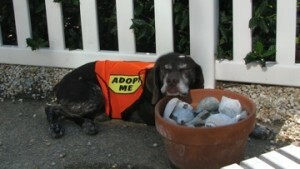 Please email your new contact information to us at GSPrescueNJ@hotmail.com. We must keep our records updated. Also, if for any reason your dog gets lost, is found and we are notified, we need to know how to find you to return your dog. Remember, your dog is microchipped and wears a Home Again tag registered to GSP Rescue of NJ. We remain vested in the dog for its lifetime. Home Again Tag: It is critical that the Home Again tag remain on the dog FOREVER. Sometimes people remove them because the dog is now theirs. BUT this is how your dog will get home should he or she ever get lost. We know you don’t think it could happen. You don’t leave your dog unsupervised in the yard. You lock the front door. The fence is secure, etc. But it DOES happen through no fault of your own. We have seen it all! Some people get worried, think we will blame them and won’t give back their dogs so they remove the tag. Of course we’ll return your dog. We are a rescue. We find homeless dogs homes, not homes for dogs who already have them! If you don’t have patience and commitment, it’s not fair to you or the dog to pursue adoption. So if you can answer yes to the following, we WELCOME your application!! Will you keep in touch with updates and pictures/stories/visits? Will you call us if you have problems before it gets to the point of no return? Will you let us know when you move and give us your new address/phone number? Will you keep the Home Again tag on your dog forever? Will you be patient and understanding through the adjustment period? Visit our GSP Rescue NJ YouTube page.